Your Mosin-Nagant was originally created in 1891 and is a bolt-action, internal magazine-fed military rifle that was originally designed for the Imperial Russian Army. The reason for its creation was the horrific losses suffered by Russian forces during the Russo-Ottoman War of 1877-1878; commanders knew immediately their old single-shot rifles were largely responsible for the devastating casualties. Design and testing took place between 1882 and 1891; the Russians were serious about the design and creation of this rifle. Today, the Mosin-Nagant – which is typically simply called a Mosin – is enjoyed worldwide because it’s reasonably priced and enjoyable to shoot. 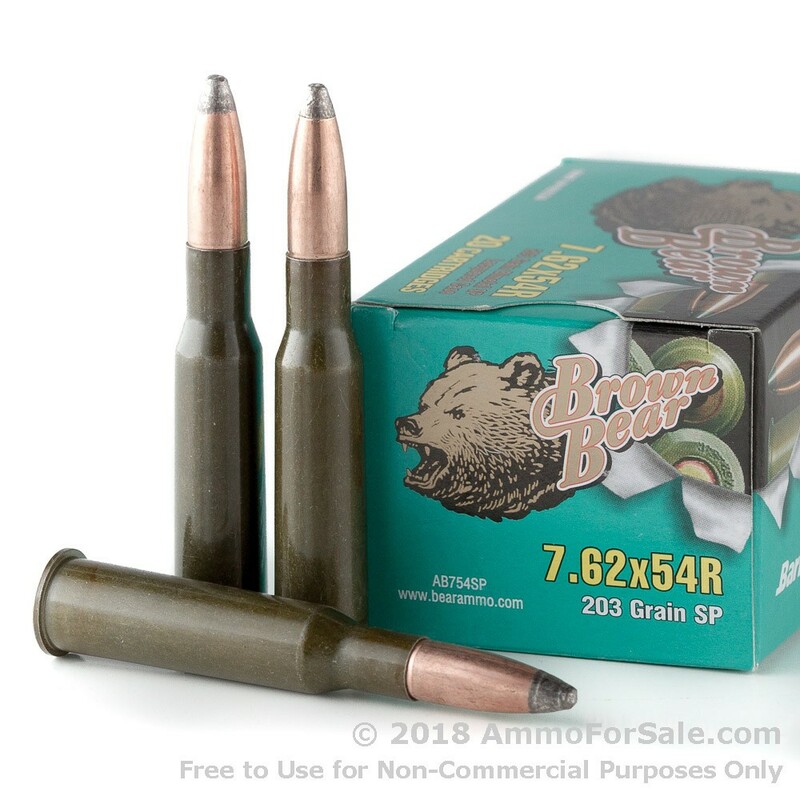 These Brown Bear 7.62x546 203 grain SP rounds were made with your Mosin rifle in mind. 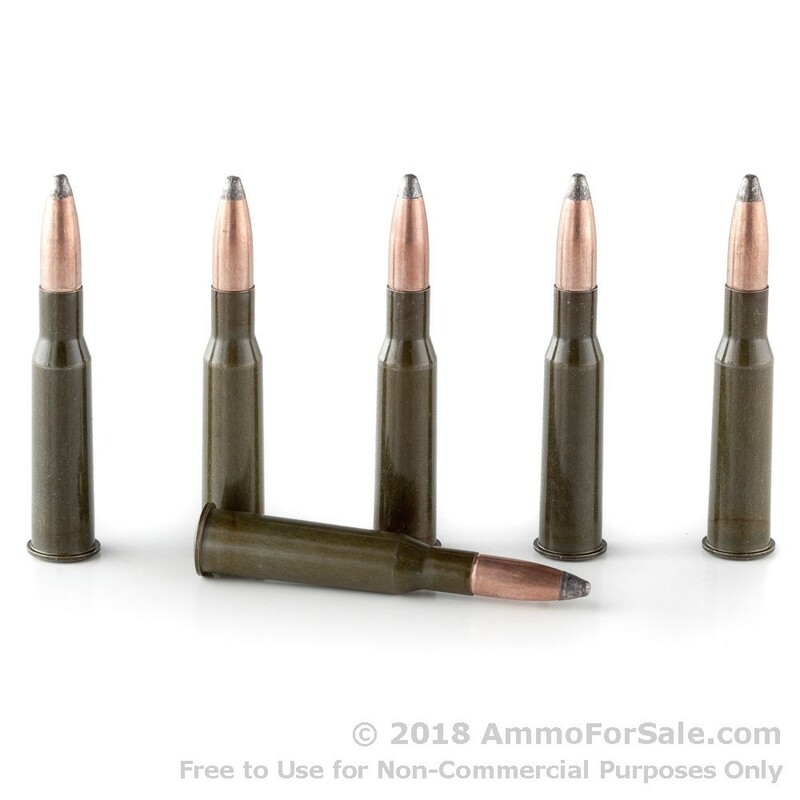 In fact, the 7.62x54r cartridge was originally designed just for the Mosin-Nagant. It’s a popular round and has actually enjoyed the lengthiest service life of all military cartridges worldwide. Brown Bear is a subsidiary of the Barnaul Machine Plant, which is located in Russia and has a long reputation for producing ammunition to fulfill the needs of the Russian military and law enforcement agencies. And while it may be considered bargain-priced ammunition, it’s also considered good quality target ammunition. At 203 grain these are fairly heavy rounds, but don’t let that make you believe they aren’t fast. These SP rounds have speed to spare with a stunning muzzle velocity of 2,330 feet per second. Their soft points mean they expand slowly on impact, penetrating deeply. Experienced shooters use soft points for hunting medium-sized game and target practice. They’ll tear a hole in your target, too, with a muzzle energy of 2,446 foot-pounds. Brown Bear manufactures these rounds with steel cases and uses berdan primer to ensure ignition and extend their shelf-life; the steel cases are a big part of what saves you money. There are only 20 rounds in this box, so you have no reason whatsoever not to order a box and give them a try. Need more rounds? 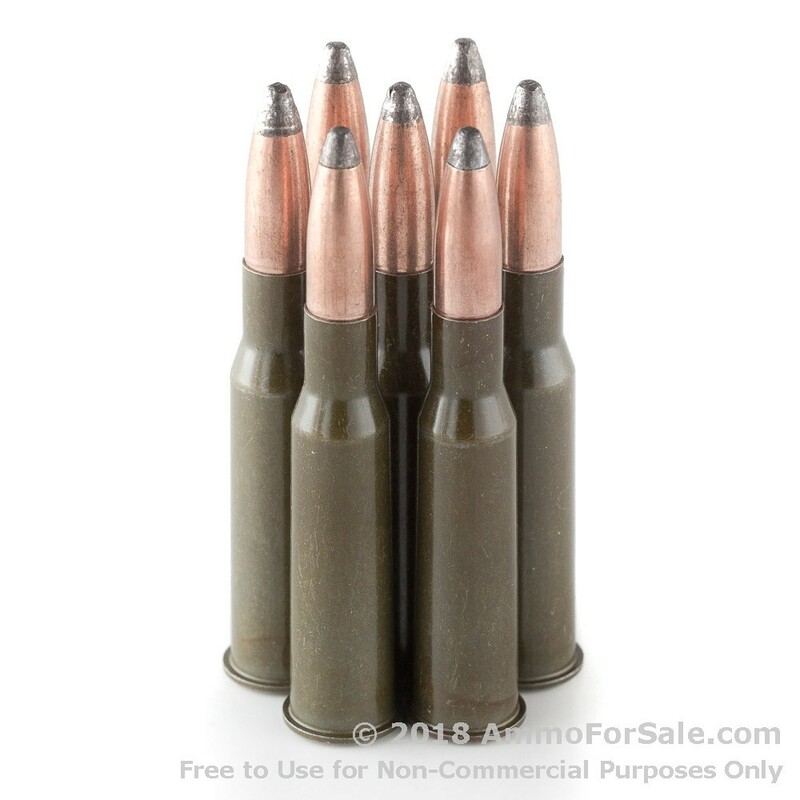 Check out the 500 round package of this same 7.62x54r ammo here.